We have simplified the pixel setup. Now all you need to do is add your Pixel ID and the appropriate conversion events will be installed in your funnel. WARNING! 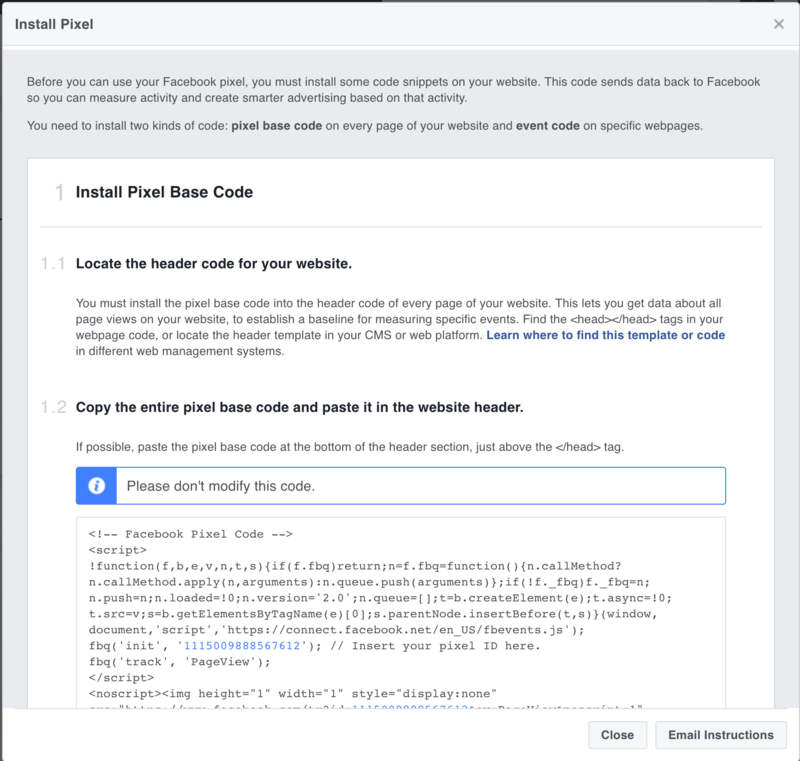 If you put your pixel ID in the field below do not include any code related to your Facebook pixel in the Body and Header section below that. This will cause reporting errors and could send inaccurate data to Facebook. 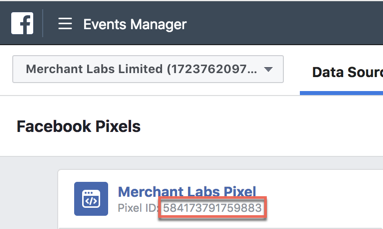 To get the Pixel ID simply login to Facebook ads manager, go to the Pixel section and copy and paste the Pixel number. See below images for more details. In this article I will tell you how to integrate the Facebook pixel with AMZPromoter. If you don't already have a Facebook ad account please head over to https://www.facebook.com/business/help/200000840044554 to set one up. In the Facebook Advert Manager head over to the Pixel tab which is found under the Assets column. 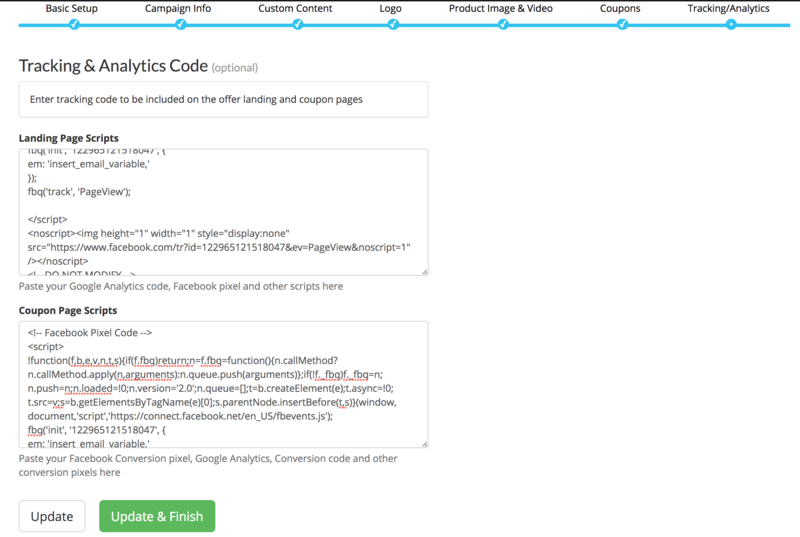 Copy all that code and paste it into Landing Page Scripts box in the Tracking/Analytics section found in the AMZPromoter Campaign wizard. To track coupon conversions/claims you must also install some event code on the coupon claim page. To do this go back to Facebook and scroll down to Install Event Code. Copy the original base pixel code (the same as above) and paste it into the Coupon Page Scripts on AMZPromoter. 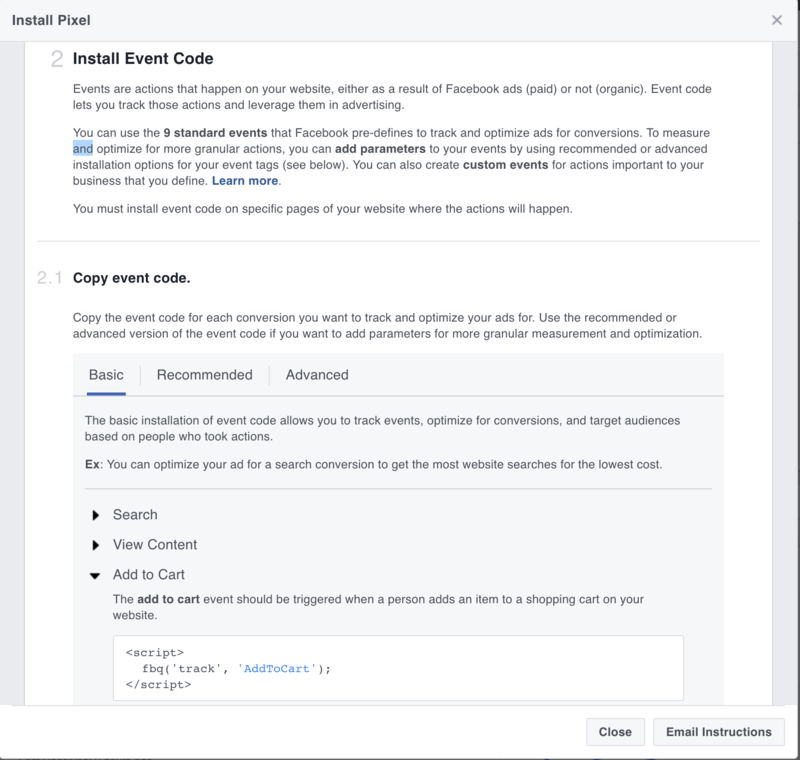 Now you must also add the event code so Facebook can track conversions. Now whenever someone visits your landing page and claims a coupon Facebook will get this data which will help them optimize their campaigns. Make sure when you are running ads you are using the Website Conversion campaign objective optimized for the Lead event which will ensure Facebook will display your ads to users most likely to claim your offer.